In Korea, perhaps even more so than in the United States, consumers ages 16-24 are weighed down by pressure to excel at school and get a job. 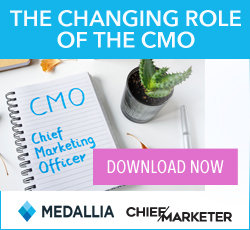 They’re also accustomed to digital interactive and experiential marketing. To help relieve the stress and to provide an entertaining experience that participants would associate with its brand, Coca-Cola worked with Korean-based agency Doveto Rabbit to set up a giant vending machine that would deliver not only sodas, but also a dance game that would have the players work up a thirst and work off their nervous energy. The machine, equipped with large screens and motion-sensing technology, was placed in an open area of a mall just outside the entrance of a major multiplex cinema in September 2012. Characters on the screens invited passersby to show off their moves. Those who successfully replicated the dancers on the screen—or who improved upon the routines—were rewarded with free Cokes. 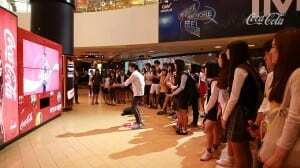 The machine and the real-life dancers drew throngs, as did a branded video that garnered more than 2 million views on YouTube. Additional videos by participants and observers attracted more views still, and Coke posted a nine percent jump in sales, all while refreshing its brand image.